The Avengers at the corner of E. 9th and Euclid (sort of). Something occurred to me when I watched the recent trailer for Captain America: The Winter Soldier. More Marvel cinematic heroes and villains have battled in one Cleveland intersection than anywhere else in the world. 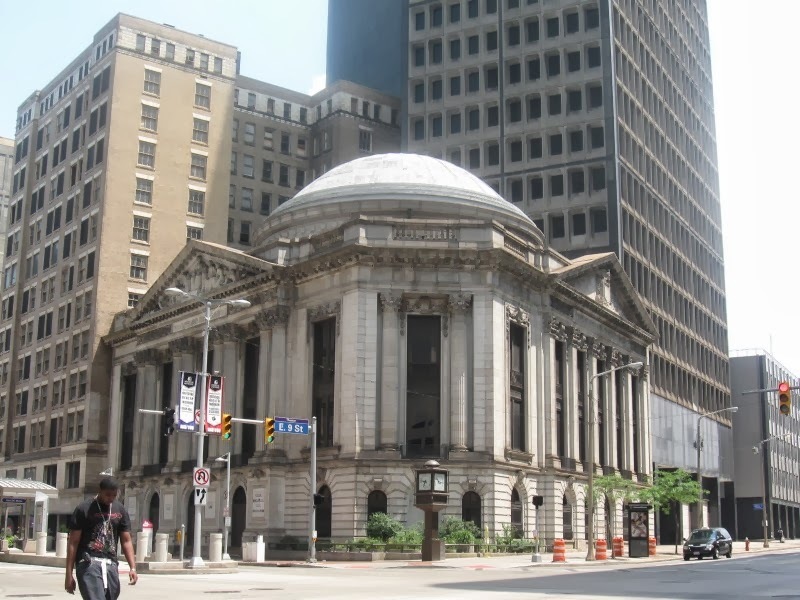 The intersection is E. 9th Street and Euclid, in the heart of Cleveland’s financial district and along its theater and health corridor. Spider-Man and Sandman battled on the asphalt under the traffic light there. The Avengers destroyed the Chitauri in the skies among its border buildings. And Captain America will soon pursue the Winter Soldier straight through the intersection in an effort to save the Marvel Universe once again. fought in this intersection than anywhere else. That’s pretty amazing when you think about it. Quite possibly, there is no where else in the world where the Marvel Cinematic Universe has made a bigger impact in such a small space. Now, we’re not counting studio lots and green screens. We’re talking on location work. Sure, you can go to California and New York and tour the neighborhoods where Spider-Man and the Fantastic Four have appeared. You can travel to New Mexico and North Carolina for more Avengers action. And you can visit the U.K. and Australia to fulfill your all your X-Men on-location desires. But if you stand on the corner of Euclid and E. 9th, there’s a very good chance you will be whisked directly into the Marvel Cinematic Universe, because, like a black hole, the gravitonic pull is more powerful when it’s concentrated in a small space. 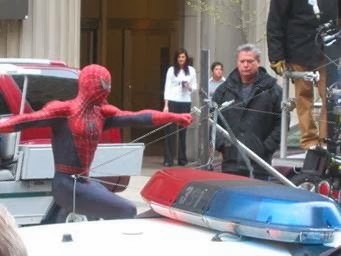 It started back in 2008 when Sam Raimi sent a second unit to Cleveland to shoot the armored car chase in Spider-Man 3. He chose the intersection for a key action scene midway through the film. You can see that pursuit as it tears west from Playhouse Square and ends with a flipped armored car right there at E. 9th and Euclid. Then came 2011’s on-location work for The Avengers. The block south of E. 9th and Euclid was torn apart, replicating a Chitauri attack. 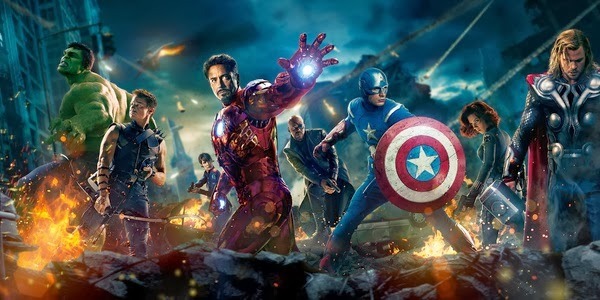 Captain America, Hawkeye, Thor, the Black Widow, Iron Man and the Hulk (the former two in CGI) all make appearances steps from the intersection. And now, in 2013, the Winter Soldier crew continues the tradition with another chase west on Euclid through what we must now call Cleveland’s four-color intersection with the Marvel Universe. So what does this all mean? Why point out this super cool fact? Other than it’s overall super-coolness? 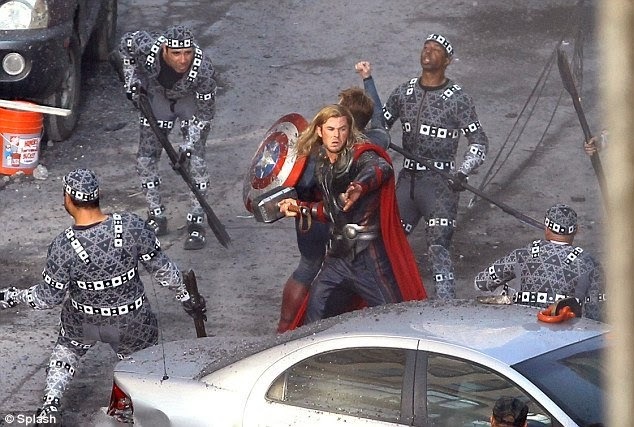 Thor battles the Chitauri at the intersection of E. 9th and Euclid. Because, as comic book and film fans, it’s time to celebrate. Right? How about we start with a landmark at the intersection that memorializes Cleveland’s influence on the MCU? Great fun for tourists on their way to Progressive Field or Playhouse Square or E. 4th Street. Next, let's encourage Marvel Studios to use this intersection as a touchstone for as many of its projects as possible. For example, there is no reason Marvel’s upcoming Netflix shows – Daredevil, Luke Cage, Jessica Jones and Iron Fist – shouldn’t shoot in Cleveland. Spider-Man 3, The Avengers and Cap 2 all had great experiences and unprecedented access to the city and its stellar crews and cast. Plus, the intersection is ripe with great locations already. PNC Tower, right there on the corner, can pose as Rand-Meachum Industries. 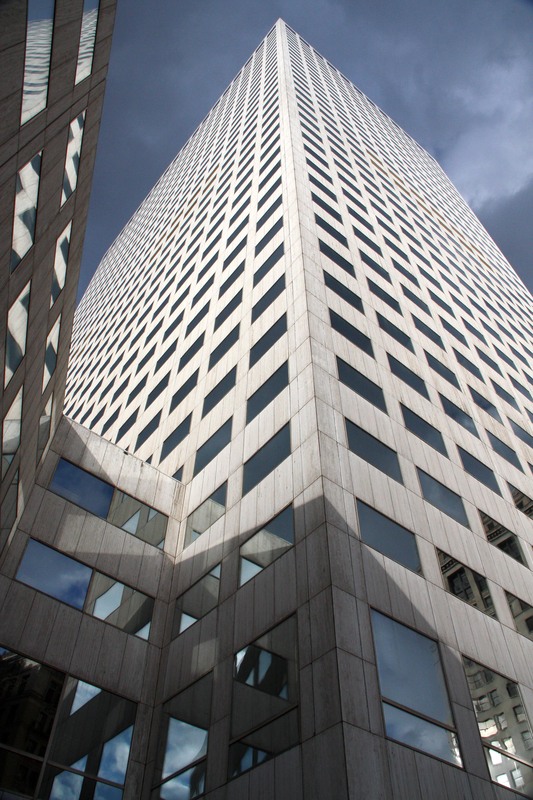 Heroes for Hire’s headquarters can occupy retail space below the Huntington Bank building. And any of the alleyways or brick buildings tucked into the blocks surrounding E. 9th and Euclid will double as Daredevil’s Hell’s Kitchen. Cap takes a look north through E. 9th and Euclid. And what about Marvel’s Agents of SHIELD? With such a powerful concentration of Marvel mojo right there in that one block, shouldn’t Agent Coulson and his crew investigate? Maybe discover a connection to another Marvel universe? An ultimate universe, perhaps? So Make Mine Marvel. Just make my Marvel at the corner of E. 9th and Euclid!